Resorts Casino Hotel has been around for over four decades, and it has been providing extraordinary playing experience ever since day one. They have recently released the Resorts Casino app, which allows you to play your favorite games on the go. Let’s take a look at the crucial features of the Resorts gambling app and how you can start playing today! Resorts casino game app is a free application available for both iOS and Android. It allows you to play your favorite games ranging from slots to live table games online. If you want to play for real cash, it is necessary to register for an account, and the Resorts money gambling app makes that process simple. You have multiple payment options at your disposal. The interface of the app makes it easy to move around even if you are a beginner. Even if you have a question or a dilemma regarding the use of the Resorts mobile casino, you can always contact customer service available around the clock. Resorts free casino app offers you a wide variety of games to pick depending on your preference or current mood. If you need to relax, perhaps choosing one of the video slots and putting in on auto-spin is a good choice. When you need high-paced action, you can always visit a live dealer section that offers a bunch of table games, including live blackjack, roulette, and poker. A similar selection is available if you want to play digital table games. Slingo – an interesting video game variation that many players enjoy. Slots – dozens of slots to choose from are available at any given moment. Table games – American, French, and European roulette, multiple variations of blackjack, and Let It Ride are only some of the options. You can also test your luck in video poker. Live Dealer – sessions with a human dealer streamed live in the Resorts gambling app. Blackjack, baccarat, roulette, and Texas hold’em poker are all there. Resorts mobile casino cares about attracting new players to their platform. Apart from a great selection of games, they also offer special promo codes that can secure tempting bonuses. New players can except an attractive boost for their first deposit. For all your deposits up to $1,000, Resorts casino game app will secure a 100% match for your deposit. You do have to fulfill certain wagering requirements to make the bonus available for cash out, but you still get free playing money. Resorts real money casino app also has a loyalty program. The special rewards system allows you to earn points as you play. You can later substitute these points in exchange for rewards. Another amazing offer is the chance to win $3,000,000 in the daily promotional deal. All accounts registered with the Resorts free casino app are a part of the pool that participates in a draw for some great prizes on a daily and weekly basis. The crucial thing to mention is that the Resorts Casino app is free to download. Those who use iOS devices, such as iPhone and iPad, can visit the Apple App Store and do a simple search to find the app and download. Android users, on the other hand, will have to visit the official website of the casino and download the Resorts gambling app from there. It is also free, and the only difference is that it is not listed in the official Google Play store. Once you complete the download, you will need to register for an account. You can do that from the Resorts casino game app as the entire process doesn’t take more than a couple of minutes. If you already played online and have an account registered, you can use your information to log into your account and start playing. You can use download and use the app from anywhere, but keep in mind that it is primarily made for US-based players. You can say that the system requirements for the Resorts real money casino app are minimal. You will need two things – a working smartphone or portable device with iOS or Android operating system, and an active internet connection. The Resorts free casino app is available on all devices that run on Android and iOS. Apart from that, you will need to ensure an active and working internet connection. Make sure that the Wi-Fi network you are using is trustworthy to prevent any security issues. Also, the connection should be reliable and of adequate speed to ensure a great playing experience. Most of these methods enable instant deposits, but there are certain restrictions when it comes to a minimum and maximum deposit amounts. Also, the Resorts real money casino app won’t charge you any fees when depositing, but you need to check with your card issuer or bank for potential charges on their side. You should also pay attention to minimum withdrawal amounts specifies, as well as potential fees involved. Keep in mind that withdrawals might take 3-7 business days depending on the method you select. If you encounter a problem when using the Resorts money gambling app, you can contact their customer service. The agents are available around the clock and ready to answer any question you can have. The quickest way of getting your answer is to access live chat that you can activate by clicking the “Help” icon in the bottom right corner of any page. An agent will reply in a matter of seconds and try to resolve your issue as quickly as possible. Alternatively, you can also send them an e-mail or call a free toll number. 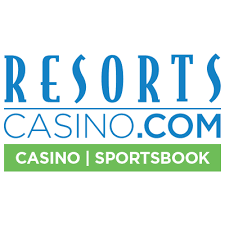 The best thing about the Resorts Casino app is that it is easy to use. If you’ve ever used a mobile app for betting or gambling before, the chances are you will know how everything works. And even if you didn’t, it will take minutes to get ahold of everything. Resorts gambling app is free to download and use, but you will need real money in your account to play. You have multiple deposit and withdrawal methods available, but withdrawing offers fewer options, and you need to wait for several business days for the platform to process the request. Resorts mobile casino offers a wide variety of games you can play. They range from dozens of slots and Slingo software up to table games and even live dealer sessions. The platform also attracts you with attractive bonuses, especially new player promotions. The wagering requirements for some bonuses may be a bit harsh, but you still get free money to play, and that’s what matters. Overall, Resorts free casino app is an excellent choice for those based in the US who want to test their luck in online gaming. Go ahead and register an account today to start playing exciting casino games on the go!